The Los Angeles Rams will be one among many teams, who is going to search significant improvements in their game this season. They were the lousiest offense in the league regarding points and on the other side, the defense was pretty much solid. This is why they acquired Sean McVay, the former Washington Redskins offensive coordinator and his first task will be to build a decent offensive line and to bring balance to this team. Back in 2016 the Rams one only 4 games. Las Vegas set Over/Under limit at 5.5 wins for the upcoming competition. Here is the preview and the predictions for the Los Angeles Rams’ 2017 season. The franchise from Los Angeles suffered massive changes during the offseason. Casey Keenum left for Minnesota Vikings, and that is something reasonable, because the Rams have the first overall pick in 2016 NFL draft at that position, Jared Goff. This young man will be the cornerstone for upcoming years. Kenny Britt, Bryan Quick, and Lance Kendricks all left, because the management’s judgment was that they aren’t fit for Goff’s style of play. Miami Dolphins took two players, safety T.J. McDonald and William Hays the defensive end. Meanwhile, many players came to LA. The biggest name is Robert Woods, a California native, who couldn’t display all his talent with Buffalo Bills because of his injuries. The offense was also strengthened with Andrew Whitworth, three-time Pro Bowl, and First Team All-Pro in 2015. He spent 10 years with the Bengals, and he is one of the best offensive linemen in the league. Nicole Robey Coleman is another player who joined the Rams from Buffalo Bills, and he is the biggest addition considering the defense. John Johnson, a rookie, coming from Boston College will probably become an instant starter at safety position despite his age. Believe us when we tell you, that this kid has enormous potential. Regarding other picks from this year’s draft, we will mention Gerald Everett who will be a great option at the tight end position. Josh Reynolds will be one of the biggest projects of this team. This wide receiver has everything, size, skills, head, and he will add many options for the Rams attack. 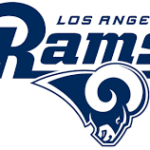 All in all, Los Angeles Rams, are still far away from the respectable franchise regarding their strength and we think that 6 victories will be an unreachable task for them. They have just one consistent player, and that is Todd Gurley, who is among the top running backs in the league. A lot of work is ahead of Sean McVay, especially since Jared Goff has a lot of oscillations in his game. You have to be aware that this team had the worst attack in the league, as we mentioned at the beginning of this article. It is hard to believe that this situation is going to change dramatically after just a couple of months, and this fact could be used for betting when they play other games during the season. So, to conclude, our final advice is Los Angeles Rams under 5.5 victories in 2017 season.